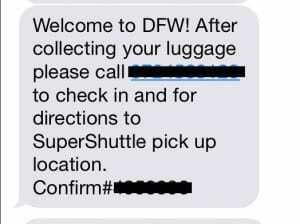 DFW Airport Transportation? 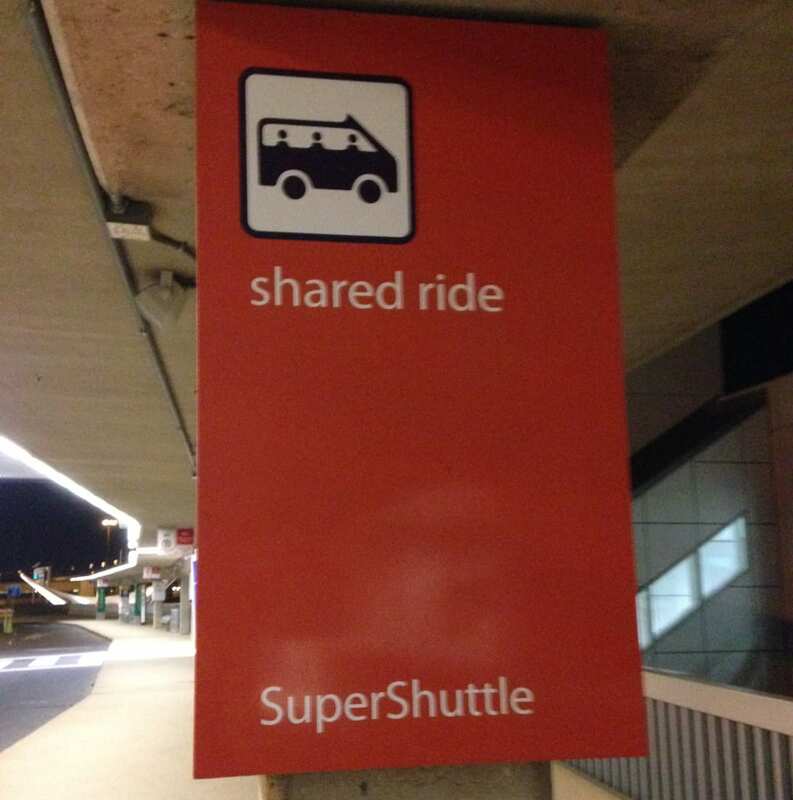 Use Super Shuttle! It's Amazing! So recently our family all made a trip down to Dallas/Ft Worth to help celebrate my grandmothers 90th birthday. Because of my work schedule and my wife wanting to see some sites earlier in the week, we decided to travel separately. 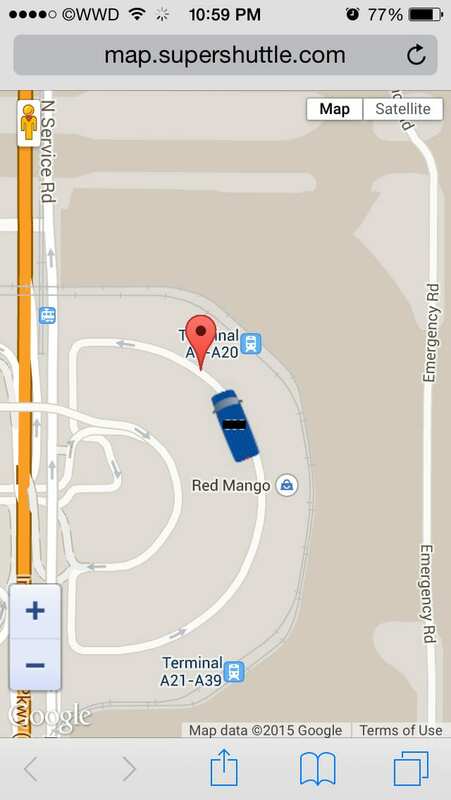 Which was fine until I lost my ride from the airport due to a medical emergency (it’s ok, everyone is fine). So with less than 3 days till my flight was to arrive at DFW, I was struggling to locate some kind of transportation, while maintaining a reasonable budget. 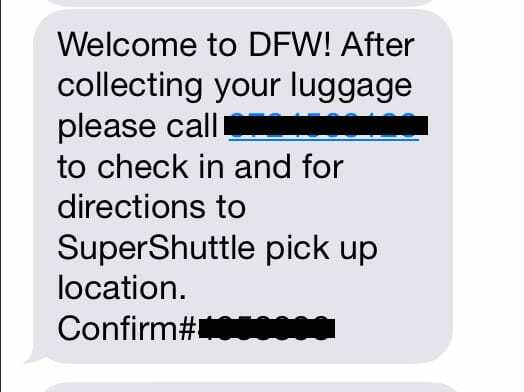 I looked at the DFW website and found there “list” of taxi’s and limos (why not?). Ok since I am a web developer, I judge businesses based on there websites, I know, not cool, but jeez just update it. Anyway, the “list” was in a WORD document, yes, I know (cringe, btw, PDF is better…), anyway most of the limo and taxi services were going to run me at least $50, not cool. I looked at Uber, and while I was considering booking it (for $64), I was not comfortable trying a ride sharing service in a city I was not familiar with. Makes sense, right? 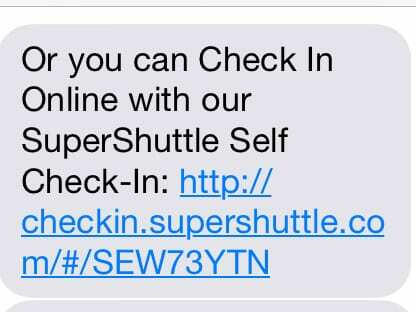 So I reached out to my aunt and she recommended Super Shuttle. So I went to there website and checked out the rates, not bad! This could work. I was looking at $18 to get from the airport to my hotel, about 30 miles away. Wow! 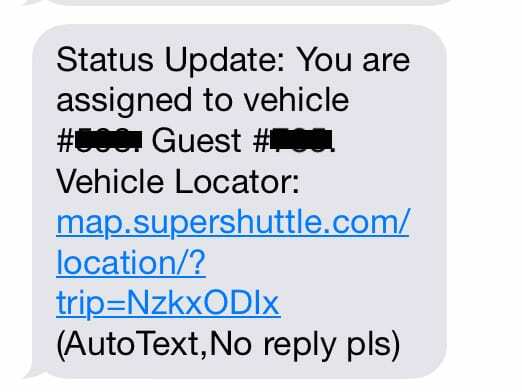 So I figured, I’ll book it and if the “shuttle” is prompt, I will have no problem giving the driver a big tip, as I was ready to spend $50 for other modes of transportation. Ok I guess I could do that.. Then another text. Sweet! I proceed to click the link, it walks me through a couple questions, basically asking which gate I am at, then done. It tells me where to go, which I proceed to do. While on my short five minute walk to the pickup location, I get another text. So sure enough, I click the link and begin watching a Super Shuttle embedded Google Maps, coming toward my direction! Super cool! Right? Less than five minutes later, I have been picked up and I am on my way to my hotel. And yes I gave him a good tip. 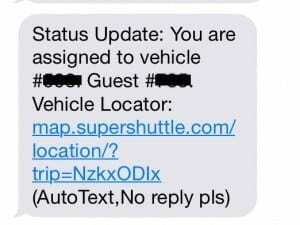 Side note: I had a really good experience with the Super Shuttle service, but I can imagine during high traffic times, the travel times may be much longer. And I knew this when I booked. 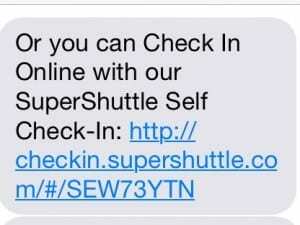 In theory, I was thinking, ok honestly, how many other people can be heading in “that” direction, that were on my plane, and using Super Shuttle, the answer was as I predicted, exactly one other person! Win!